Part of the series critiquing professional ultimate team logos and nicknames. 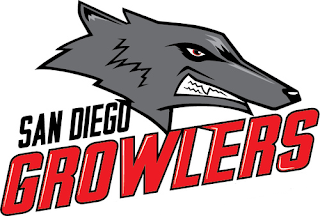 Upon buying the Seattle AUDL franchise, the Titcomb Family (of Five Ultimate fame) retired the previous team name - Raptors. First impression(s) from SLUDGE: Chewbacca, the legendary Wookiee, joined the Blue Man Group! Hey, is that a hidden "5" on Casey's cheek? Eli's Eval: This may be the single-best and most cohesively designed branding system of any professional ultimate team in either league. 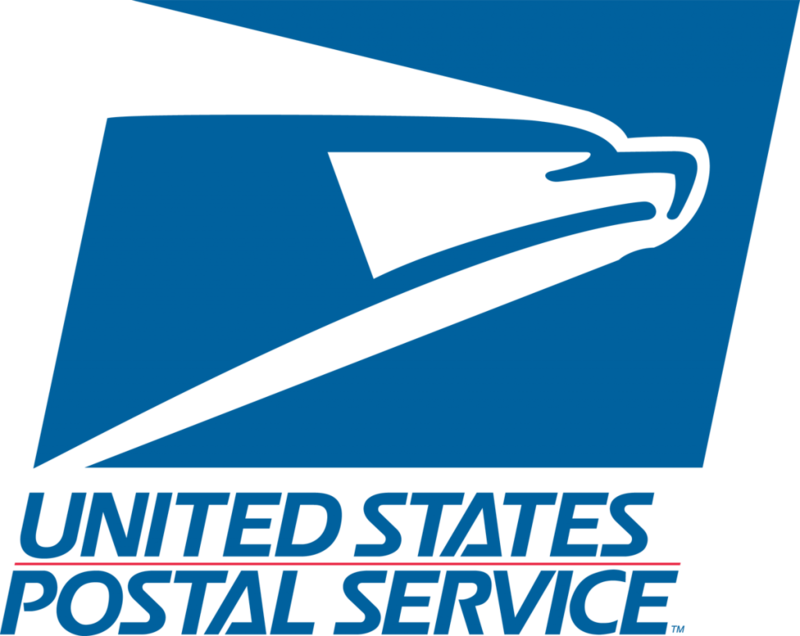 The wordmark is custom-designed lettering with a mountain range substituting for the letter A. The city name is san serif but blocky enough and italicized on the same angle as the team name. The points of the mountain range echo nicely with the extruded and pointy serifs on each of the letters that have them. In addition to the wordmark there is a separate yeti icon that is delightfully monochrome in rich blues and blacks with bright yellow eyes and a highlight on the pug nose and one tiny sharp tooth that call attention to themselves and move the eye through the design. The official team discs have this icon printed playfully small on the plate which serves as a testament to the design, because it holds up at that size and also printed entirely across the chests of their light jerseys. It works large. It works small. It works in color. And, I imagine it would work in black and white. It doesn't rely on any design gimmickry like gradients or heavy strokes. The wordmark can be separated into city or team name without losing any legibility or effectiveness, and they also work well together. Disc within logo? : No. // Ultimate element in team name? : Yes. Background: Brewers was the first choice for team names, but was "denied" by the league. First impression(s) from SLUDGE: Winged logo returns to the AUDL! The paper plane is goofy, yet playful. 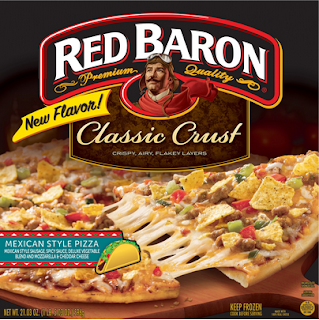 The logo design is very similar to this Wham-O (GASP!) Frisbee. Eli's Eval: There is a lot going on in these designs, and although it is of a theme it does not create a cohesive branding platform. These designs suffer from an editing problem; someone needed to point to a few places and simplify. The split-color treatment that the city and team name have is dynamic but having both words use it gets way too busy, and adding a horizontal stroke of an accent blue only adds to the busy-ness and distracts from legibility, especially at the small size. It looks as though that horizontal is meant to be a contrail from the paper airplane that is flying out of the city name, but this is not the most effective execution. The wordmark is on a slight angle and is also slightly italicized. This is then paired up with the wing shapes, which are beautifully executed but their symmetry is rendered moot because of those angles on the type. Perhaps the wings could be larger, perhaps the words could be on a flat baseline...I'm not sure what would be the best solution but I know I'm not looking at it. There is an alternate logo that is a calligraphic R with the same arrow running through the crossbar and out of it. The R is very swashbuckler-y and the paper airplane is still somewhat awkward. Cutting a capital letter on its crossbar does not increase legibility. 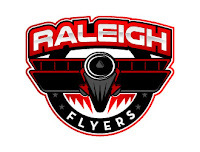 Raleigh's many alternative logos throughout the 2015 season. There is not really a separate logo here which causes turbulence. The typography has the paper airplane running through it and wings on the side, but if you look at these as separates they still don't really work all that well. This one has good technical execution but bad design choices and not enough editing to be cleared for takeoff. 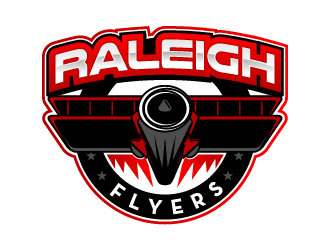 The R-with-wings alt logo just still seems like two separate things slapped together. It's better than the big jumble but there's still no sophistication to it. 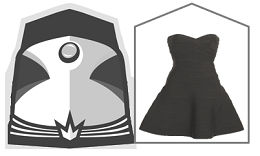 First impression(s) from SLUDGE: Cannot unsee the dress; not "The Dress," but a dress nonetheless. Eli's Eval: So many good things going on with this at-track-tive design. There are multiple elements that all work together but also work individually or in different combinations. The train, the crown, the wordmarks, all of these can be taken individually or recombined for different situations. Everything feels like it was designed to go together, from the line weight to the way angles and curves are treated, to the balance of color from piece to piece. The type is both sporty and somehow old-fashioned feeling, while still remaining contemporary. The crown above the city name is a nod to the city's nickname and not necessary but acts as a visual anchor and a little happy moment of pause in the middle of a busy design. All of the lines seem to point to it, but its own points shoot the eye right back out to the train and the type. The type and train both feel very custom-made in a great way. They feel familiar and appropriate to the context of American sports but they also feel unique. The action lines on one side and smoke/clouds on the other are just one more example of where this designer could have been lazy but put in the extra effort to add more meaning and visual interest to this complete design. Same goes for the tracks at the bottom, underneath the type. Background: Hustle is a term for a disco dance, a scam, and a positive athletic attribute. Grand Hustle Records - based in Atlanta, Georgia - is an independent record label that works with/has worked with artists like T.I., Meek Mills, and Iggy Azalea. First impression(s) from SLUDGE: Totally looks an H...with an artistic element of the Han character. Has a linear similarity to the musical notation meaning to raise a note's pitch by a half step - (♯) "sharp", which is different than a hashtag. Eli's Eval: Hustle can be a generic word when associated with sports critiques, but the H that was designed for the Atlanta franchise is not generic at all. It is dynamic and well-executed design-wise and technically. Nothing is out of place and everything seems to serve a purpose. The raised and lowered posts seem to reference the cyclical nature of ultimate, and remind me of diagrammed plays, for some reason. There is a flow and balance to this that works really well. The only nit-picking I would do is to point out the clipped ends of the top and bottom-most extremity of the extruded posts could easily be extended to a point, rather than the default function of illustrator. Looks great up close and from far away. Very iconic and recognizable. Team name is a giant slab san-serif, and the city name is a thinner san-serif, I'm hoping from the same family. Letter spacing on both words is very well executed: spaced out for the city name and in tight for the team name but neither one feels to open or too crowded. NOTES: Names and positions via each team's website. This may not be a complete list, so if you are aware of more names to be listed, please let me know. 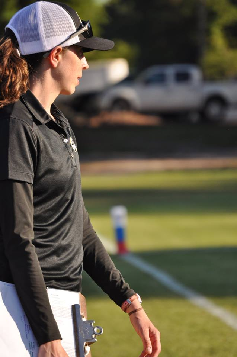 Attempts were made to find photos of coaches on the sidelines. 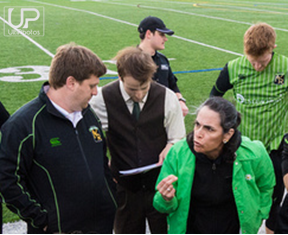 As the American Ultimate Disc League expands, more teams make the playoffs every season. While the quantity of playoff-bound teams is increasing, the percentage of teams in the postseason is declining. In comparison, 37.5% of NFL teams make the NFL single-elimination playoffs. The widely supported traveling ultimate team starts tonight! 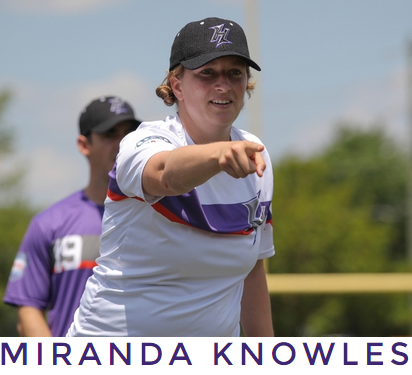 The team of college women ultimate players are scheduled to visit nine cities in the next 2 weeks. Read a tour preview via Up Call. The 3-day Masters Ultimate Tournament to crown the champion of Masters and Grand Masters divisions starts today in Aurora, Colorado. Good luck to all teams! 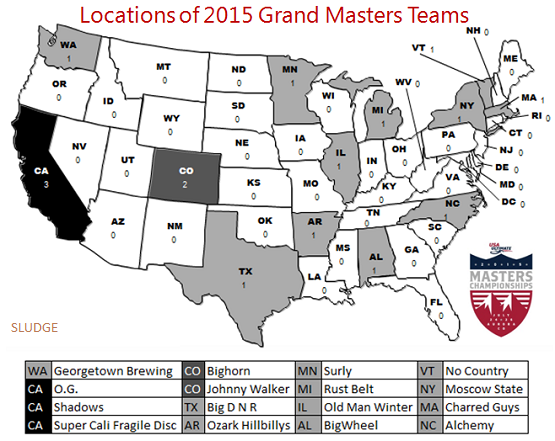 Sixteen Grand Masters ultimate teams qualified to compete at the 2015 USA Ultimate Masters Championship in Aurora, Colorado. California (3) and Colorado (2) are represented by the most teams, with 11 other states are represented. 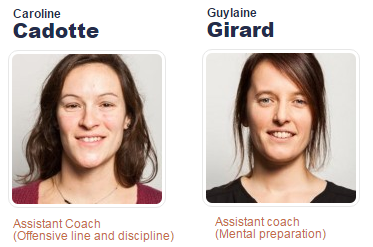 NOTE: Location data taken from the online team bio on USAU. 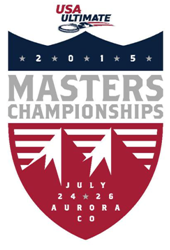 This year's USA Ultimate Masters Championships are scheduled for July 24-26 in Aurora, Colorado. A total of 48 teams descend upon Denver's suburb to play a 3-day tournament. 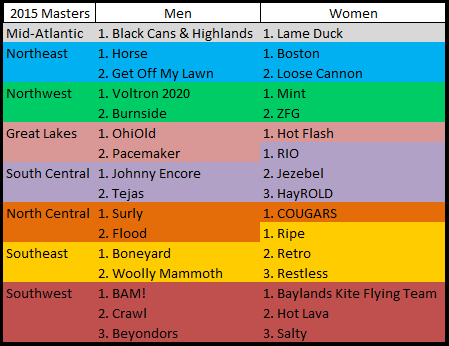 There are 16 Masters Men (33+ years old), 16 Masters Women's (30+ years old), and 16 Grand Masters teams (40+ years old) will compete for the 2015 championship. 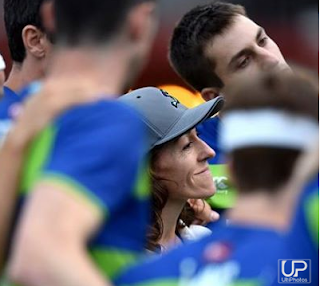 The World Under-23 Ultimate Championships were a great success for the three USA Ultimate National teams. Over seventy-five players competed at the week-long international event. 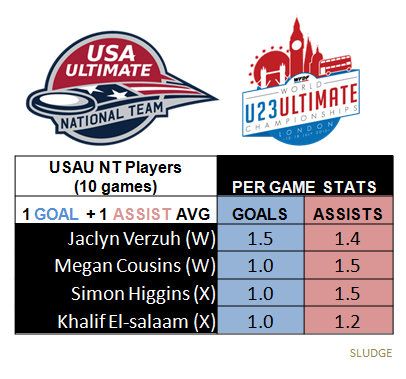 Goals and assists stats were tracked for every WU23UC game in London. Using the provided data, here are the offensive leaders for all the USA Ultimate teams. *Nethercutt was one of 2 players from the US National Team contingent (3 teams, 76 total players) that did not record a goal at the tournament. Only 4 out the 76 US National team players did not record an assist. The WFDF 2015 Under-23 World Championships in London are now complete. 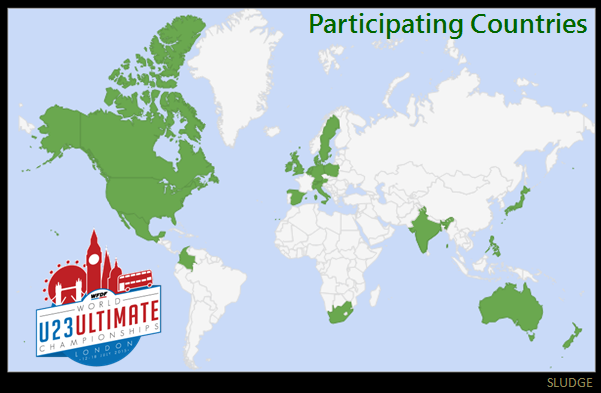 Three USA Ultimate National Teams teams competed in each division, and all teams medaled adding to the USA's medal total. Unlike in 2013, the 2015 US National teams missed a gold sweep by one division. The US National U23 teams posted a 29-1 combined record at the 2015 World Championships. 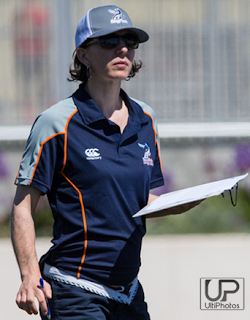 After two U23 events (2013, 2015), the USAU teams have a combined record of 59 wins and 1 loss; (59-1)! 59 wins in 60 games!! And, 6 medals - 5 gold + 1 silver. 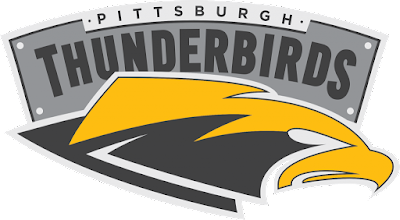 Background: A ballot of 18 potential team names were voted on by MARS Ultimate Tournament 2014 participants, and "Thunderbirds" was later announced as the winner. A thunderbird is an enormous bird with huge wingspans, and similar in appearance to a condor. Generally, the creature is regarded as a myth. 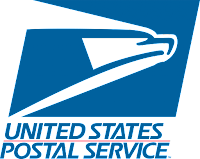 First impression(s) from SLUDGE: Besides borrowing elements from existing AUDL teams, the bird reminds me of the USPS icon. Eli's Eval: The lightning bird logo does a nice job of hiding two elements in one. The easy way out would have been to make the eye a bolt but the designer incorporated it into the shape of the head while retaining the anatomy of the head and beak. I'm not sure what the dog-leg slash [indicated below in red dotted outline] in the gray shape is for, so that could go. The light stroke around the outside of the gold shape seems too light and I think it would be better off without it. Even a slight white space/negative space between the two shapes would serve the same purpose more effectively. Backing up this theory is that the design looks much better in its embroidered form on the hats than it does on the discs or tees where it maintains its intentional structure. The type is simple and bold and effective. The metal plate it is set on is a nice nod to the steel city and its rust belt history. The rivets are simple, the drop-shadow is not overdone, and the letter-spacing is consistently good. (Save between the B and I, and R and D.) The city name is clear at a small size and the designing type on a curve is never easy, so bonus points there. The only other thing that I keep going back to is the rounded left edge of the eye: the rest of the design is pointy and sharp and angular and aggressive and this little teardrop on such an important part of the design just seems like a lost opportunity for consistency and stylistic reinforcement. 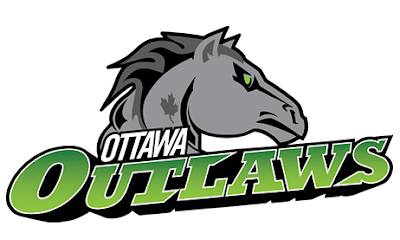 Background: Historically, the Bytown area (now known as Ottawa) was a logging town and a "rough neighborhood" filled with questionable characters with little regard for the law. Hence, the choice for the team's nickname. When selecting a brand strategy the owners felt it important to design a logo that was modern and edgy and would look great on-line and on apparel. Also, they wanted to avoid a negative connotation that may associate us to crime, weapons, and fear. First impression(s) from SLUDGE: That classic, gruesome scene in The Godfather when the movie producer unpleasantly wakes up to a severed horse head aside him in bed. 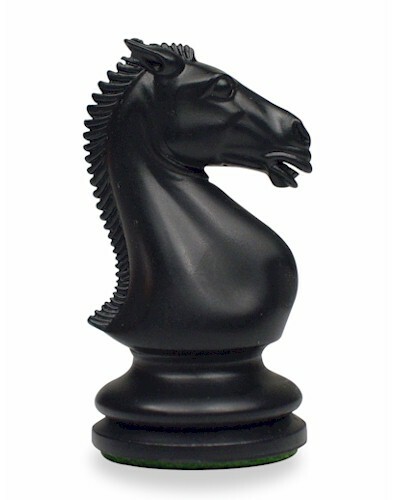 Also, the horse head image has commonalities with the chess piece of knight, which represents an armored cavalry. Eli's Eval: Angry horse! Angry horse with a maple leaf tattoo! More serifs tweaked to have menacing pointy tips! The type has a lot of effective things happening: contrasting scale for city and team name, contrasting colors (white/green-yellow), san serif vs serif, stroke vs drop-shadow. All of this variety comes together very well because the execution is spot-on. The designer was able to do all of these things and keep everything legible while creating a hierarchy of information through these elements rather than in spite of them. The ligature on the T's in Ottawa is nice and appropriate while the connection between the U and T feels unnecessary. The drop shadow enhances the design and gives it a bit of depth, while separating the two words. Something strange is happening at the bottom of the mane where it goes behind the city name and I'm just not sure what I'm looking at: if this is more of the mane then it should be the same dark gray, if it is the horse's body then why is it so lumpy? 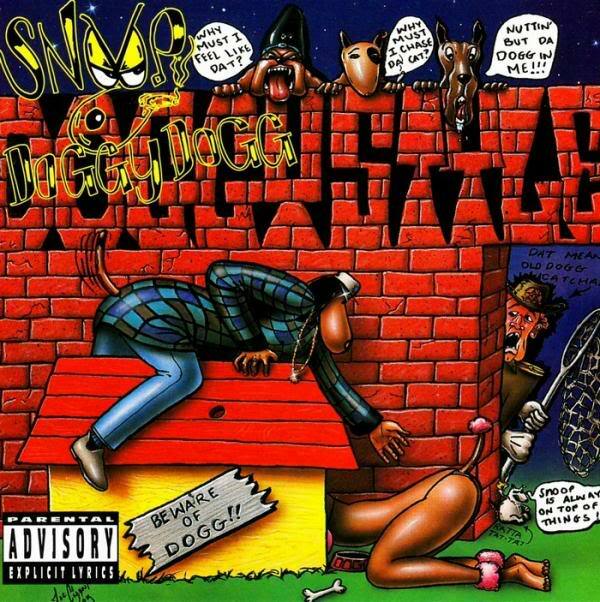 First impression(s) from SLUDGE: 1) Do coyotes growl? Listen. 2) The zig-zag lines on the coyote and in its mouth look like writing. See. The type is clean and clear and looks a lot like the Gatorade font. The good thing is it is familiar, it is legible, and the kerning is good. The extra pointy serif on the E in Growlers is a nice way of filling the gap that the L leaves and also giving more movement and action to the type. I do not like the odd highlight on the left of each letter. In design if you don't have a reason for including something you should leave it out, and there is no reason for this. No other aspect of the design has a highlight (save the top of the Coyote's forehead) and there is no other dimensionality to any of the type. It is so small as to be more of a distraction and since there is no larger dimensional context for it to fit into it is merely visually confusing. Rochester Dragons again find themselves involved in a historic league game. 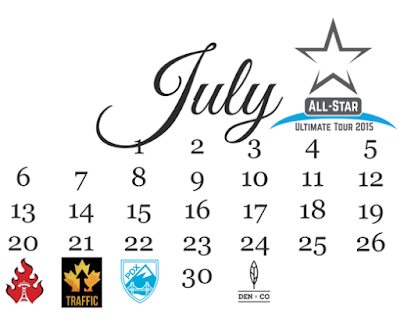 In late June, the Dragons hosted the first doubleheader in pro ultimate. Tonight, the Dragons will play in the first non-weekend game in a pro ultimate league. 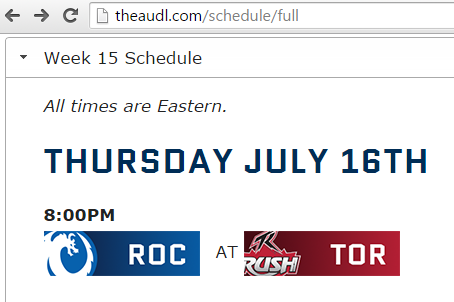 Rochester Dragons (1-12) are to play at Toronto Rush (10-1) in AUDL's Week 15 schedule on Thursday, July 16th, Toronto, Ontario, is about a 3-hour drive from Rochester, New York. Background: Los Angeles,California, has a historic and important role in aviation. In January of 1929, an aircraft established the longest time aloft at over 150 hours near Los Angeles. In May of 1955, the first transcontinental round trip on the same day departed from and returned to L.A. In 1977, the world's first successful human-powered aircraft was flown nearby in Pasadena. Also, in nearby Santa Monica, a Douglas Aircraft Company factory supplied the military aircrafts during World War II. Of note, they were almost named The Los Angeles Republic. Eli's Eval: Angled type with pointy extrusions (serifs? spurs? )… we officially have a theme going! The font is reminiscent of the old Pan Am wordmark designed by Saul Bass, and I wish the logo was as well. The font is art deco-style, which is appropriate for LA's dominant form of architecture. The city name is title case, and the team name is all-caps, but using the same font, including the pointy serifs. 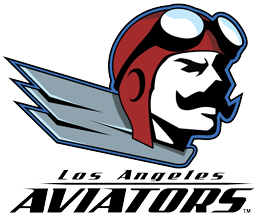 The logo of a vintage pilot is nicely drawn. (They also have an alternate female version for the Viva program, which is thoughtful, and nice that they didn't just make the scarf pink or something easy like that.) While the head(s) are nicely rendered with consistent line work, the three feathers coming out to the left need some help. They are neither feathers nor airplane wings nor a metal wing made of metal feathers. If there was only one it would read as a scarf, which would be fine and effective but with the two above it just gets confusing because they're trying to be too many things at the same time. The other problem these "wings" create is that the logo is now directional, like the now classically awkward Patriots Elvis logo. That logo works well enough on the side of a helmet or even a shoulder, but on a logo tee anywhere else, really, it seems odd. 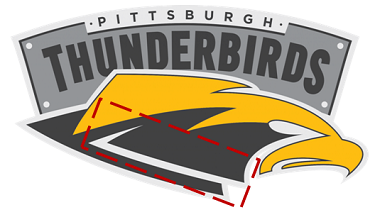 I'm not saying these logos need to be perfectly symmetrical but a composition that is balanced based on central mass are generally better for sports teams. 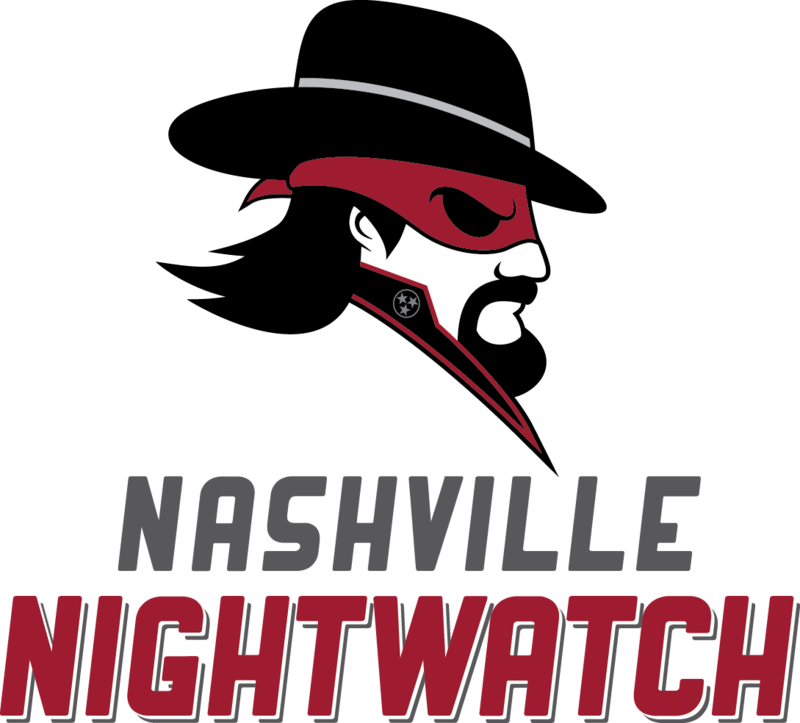 Background: The NightWatch name is meant to epitomize the team owners' "sense of responsibility and vigilance to both the Nashville community and the sport of ultimate as a whole." The design on the collar comes from the Tennessee state flag. First impression(s) from SLUDGE: The grooming style is very Kenny Powers (Eastbound & Down) with an ensemble like that of Dread Pirate Roberts and Hamburglar. 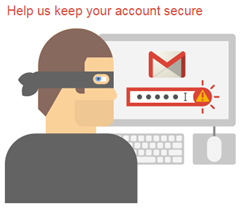 Also, the Nashville NightWatch-man and Gmail bandit might be cousins. Eli's Eval: Overall this is a pretty good start but the design begins to break down under a little bit of scrutiny. The font seems like an odd choice – slightly chubby with some art deco elements like lowered cross bars, and an italic slant that may or may not be forced. The kerning is sloppy – giant gap between the N and A and again between the S and H, and again and again after that. Both city and team name are all-caps, so the only thing differentiating them is color and the hairline dropshadow on the team name. The city name is slightly smaller than team name but this needs more contrast of scale to really separate the two. The logo is also nice enough, but needs help to feel finished. There are things like the black strokes at either end of the hat band and the rounded bump on the back of the bandana/mask that feel rushed or totally unnecessary. The pointy ends of the long hair don’t really point in any direction, and the white stroke around them reinforces the haphazard feel. Perhaps they should all three point straight out? I like the inclusion of the state flag's three-stars in a circle on the collar, but the combination of a gray (why not white?) and small scale make it nearly disappear. You could get rid of the red piping on the collar of our hero and have more room for this element. The curve of the brim of the hat seems to be a bit too high, which raises the top of the hat itself to an uncomfortable height. This just needs a bit more time in under the watch of a pro and it could be great. Background: Jacksonville, Florida, has a rich military history plus is home to the Naval Air Station Jacksonville and Naval Station Mayport. Cannons - first used in battle in August 1346 - are standard artillery in naval warfare. 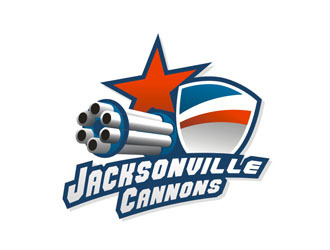 Jax did not end up going with this logo; and, we're all better for it. First impression(s) from SLUDGE: (DISCLAIMER: I'm no cannon expert.) 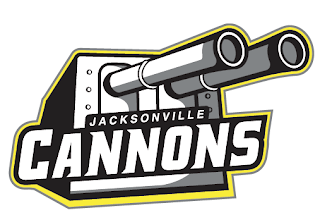 The cannon looks like a tank. (DISCLAIMER:I'm not a tank expert.) Anyway, "gun turret" is probably a more proper term of the twin caliber weaponry depicted as a cannon. 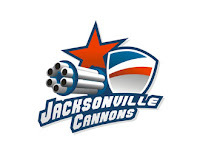 Eli's Eval: Solid design, great technical execution on the cannons. The perspective on the cannon twin guns is spot-on, as is the perspective on the base. I wish the type was angled to be on the same plane as the front plate of the cannon. One line or one circle off even a little bit could make the whole design fall apart. The black, white, and gray do enough to give the impression of metal without having to resort to bad gradients or filters. (Thank goodness for restraint!) The type is simple but effective. Two fonts, one with the ubiquitous serif spurs, and one that is more clean-feeling. The contrasting scale of the words gives us all the separation we need, and the kerning is really well done so that each letter fits the next like a puzzle. The accent color, yellow, is used only to add a stroke to the entire outside of the design and this is another case of restraint leading to stronger design. Now in its fourth year, our motivation for critiquing the logos and nicknames of pro ultimate teams remains the same: if the professional leagues want to be taken seriously as "professional," then they should present themselves "professionally." A logo is a team's public image utilized on websites, social media, advertising, merchandise and uniforms, so their logo should not be ugly and it should not be poorly designed. The sport will someday be respected on its athletic merits, but until then, pro ultimate will be judged on its outward appearance. Having a presentable team logo is an excellent starting point. Eli Neugeboren [@enoogs . http://enoogs.tumblr.com/] returns to evaluate and grade the logos for ten professional ultimate teams. 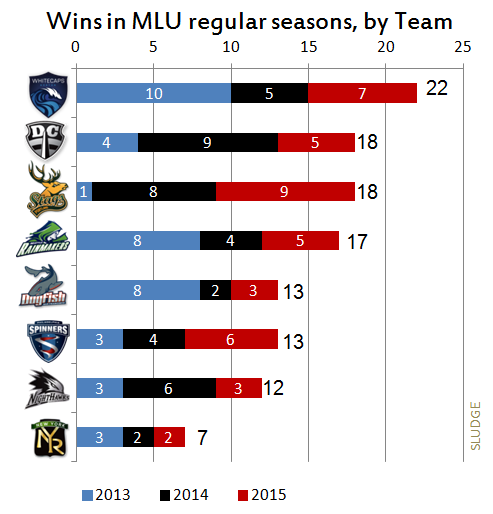 Portland Stags and Philadelphia Spinners are the only MLU teams to improve their win totals every season. Boston Whitecaps is the only team to have 20+ total wins in 40 regular season games. Every team has posted 6 or more wins in a season except for New York Rumble. 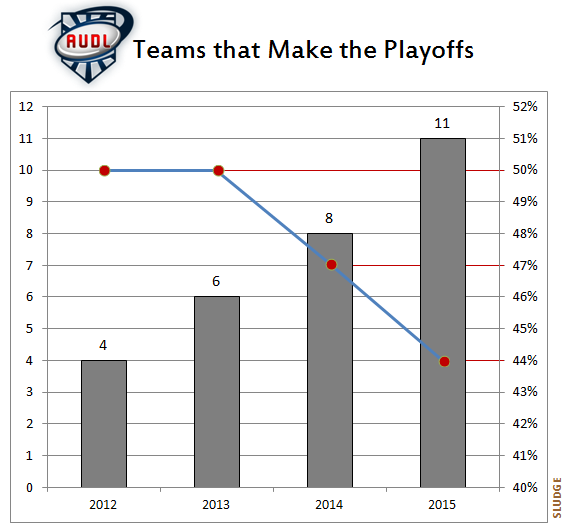 New York Rumble is the only MLU team to have a single-digit win total over 3 seasons. Every possible record combination for a 10-game season has been posted, except for a winless (0-10) season. 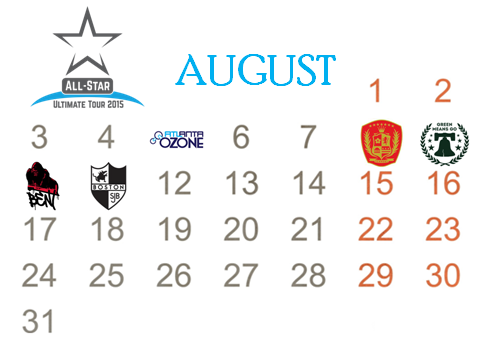 The 2015 under-23 tournament for ultimate is the third occurrence for this WFDF event. This year's WU23UC event is being held in London. Past locations have been in Toronto (2013) and Florence (2010). The next World Under-23 Ultimate Championships begin in a few days! 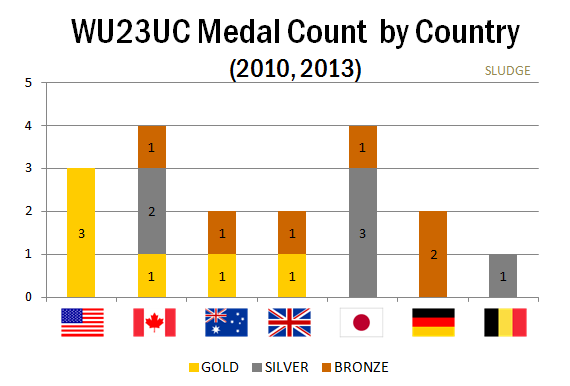 Expanding beyond participating countries, here's a history of countries that have ever medaled at a U23 ultimate championship. 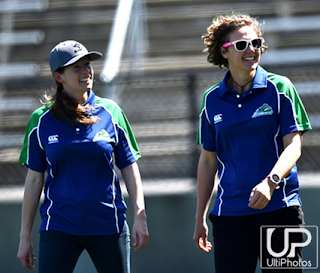 The WFDF 2015 World Under-23 Ultimate Championships (London, UK) hosts 41 ultimate teams representing 23 countries. There will be 20 teams in the open division, 9 teams in the women's divisions and 12 in the mixed division competing over July 12 - 18, 2015. Seven countries will field teams in all 3 divisions: Australia, Canada, Colombia, Germany, Great Britain, Japan, and the United States. These 7 countries make up over half (51%) of the total teams competing at the international tournament. 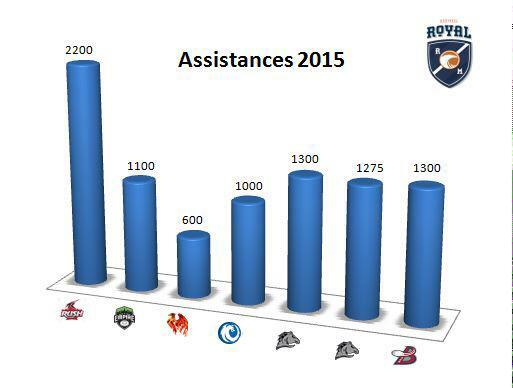 The Montreal Royal published their attendance for their 7 scheduled home games of the 2015 AUDL season. The Royal posted a (5-2) record at home - played at historic Percival-Molson Stadium in Montreal. 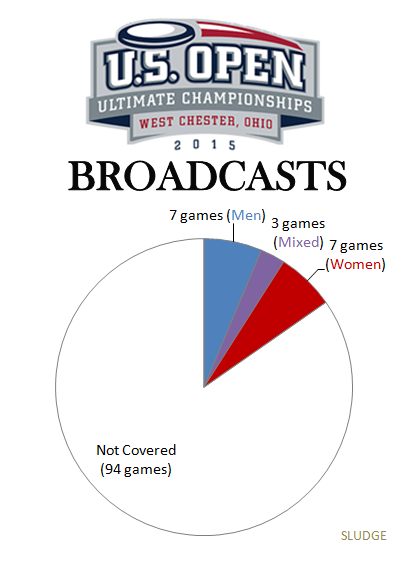 Ultiworld and ESPN3 wonderfully provided broadcast coverage of the 2015 U.S. Open Ultimate Championships from West Chester, Ohio. The final broadcast schedule covered 17 total games across the three divisions. In all, the US Open broadcast covered 15% (17 games of 111 total games) of tournament games played. So, 85% of U.S. Open ultimate games were not broadcasted. The Men and Women Divisions each had 19% of their games (7 games) broadcasted, amounting to 82% of the streamed coverage. The 3 Mixed broadasted games were only 8% of their division's total. In comparison, Mixed was covered 57% less than the Men's or Women's divisions. 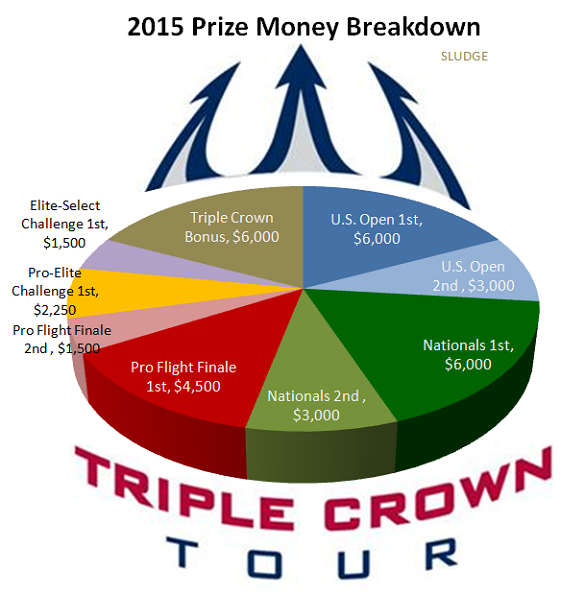 In USA Ultimate's 2015 Triple Crown Tour, a total of $33,750 is available as prize money for competing teams. The most one club ultimate team could win is $7500. 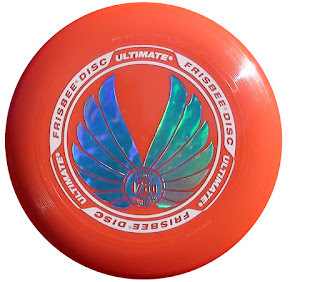 NOTE: Championship teams at U.S. Open also received 100 custom discs from Discraft. ESPN3 continues, continues, continues, continues to misrepresent the sport of ultimate by listing ultimate under the "Games" category. ESPN3: "Hey, go watch games!"